Skincare always makes me remember my mother. Back when I was a child and even into my teens years my mama would have this skincare ritual every night. She would have a bath and after lather herself with creams. I would stand and watch as she patted and rubbed it all over her face and neck. Her choices have changed over the years but one fact remains true, her skin is beautiful and youthful because she cared for it. A lot of skincare out there contains MANY toxins that are harmful to our face and well being. It’s important to me to find have a skincare line that isn’t full of junk. I’ve done some digging on Instagram a few years ago and found, OSEA. They are in my TOP skincare essentials, along with K’Pure Naturals. I want to introduce to you about a skincare line that is family made and has all the feels when it comes to green living. Toxic-free, cruelty-free, vegan, biodegradable and natural. Osea Malibu is, “the story of four generations of women who fell in love with the sea.” Quote by Melissa Palmer one of the youngest generations of those women. Osea is committed to bringing women and men quality skin care that derives from natural ingredients from the earth and sea. They have combo packages to suit each type of skin and they even sell travel sizes that are perfect if you want to try out the line first or love to bring your skincare with you when you travel. If you are on the hunt for a great skin care line please check out Osea! Like always, I won’t purchase any products unless the creators themselves are full of kindness and truly love what they do and Osea is one of those! They recently had their family home burnt down from the devastating California fires. Even in their loss, they ralled together to support the community! Osea is offering a heck of a deal this Black Friday week! Get their best-selling Hyaluronic Sea Serum ($88 value) FREE with your purchase of $135 or more!! Tap here to shop. This deal runs from November 22nd to the 26th. 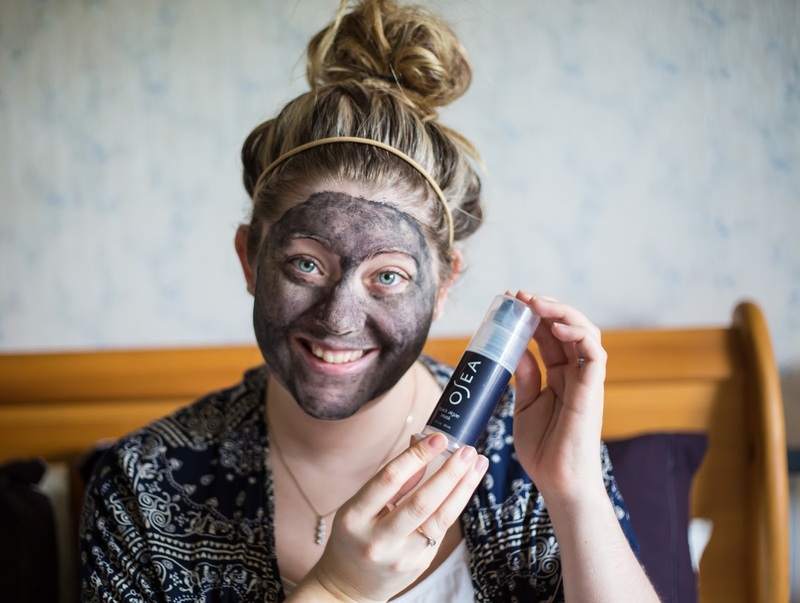 using the amazing, black algae mask!